Google Analytics is a tool created by Google for website owners to get a better understanding of how their website is being used and the types of people who are viewing it. Below is a how to guide on how to set up a Google Analytics account and how to use it to find out how people are viewing your site. The first thing you will need is a Google account. If you do not have one please set one up before continuing with this tutorial. Step 1: Go to www.google.co.uk/analytics and click the sign in button at the top of the page. Step 2: You will then be asked to sign in to your Google account. Once you have signed in you will be directed to the Analytics site. 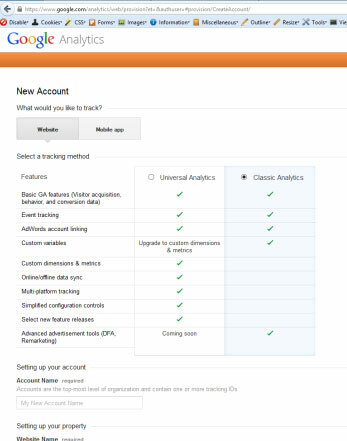 Step 3: There are three steps to starting up Google Analytics and these are shown on the page. Click the Sign Up button at the side of this page. Step 5: Fill out the rest of the page with the required information and set the correct time zone. Step 6: Once you are done with the previous page and your account is set up the Tracking Code page will appear. This is where you can install your tracking codes. At the top of the page a box will appear providing you with some additional information about your tracking code and data collection settings. Your unique tracking ID will be shown further down this page. There will also be a box which shows the full code you can copy and paste this into WordPress on the pages that you want to track. If you are using WordPress and you want Google Analytics on all pages then paste the code just before the end of header </head> If you don’t use WordPress then Google will guide you through the other ways in which to track pages of your site. Usually it will just require you to copy and paste this code into the HTML of the pages you’d like to track. 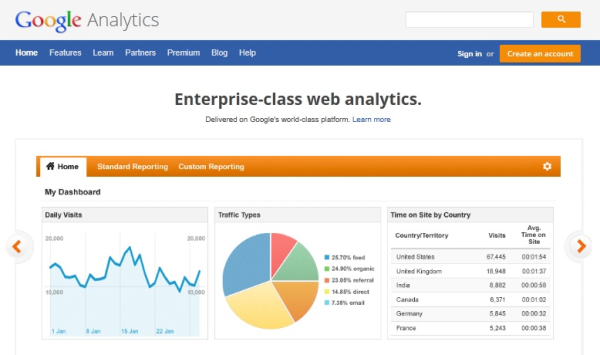 Step 7: Your Google Analytics account is now set up and will start tracking data over the next 24 hours. Building an online presence through SEO, Adwords and Social Media to bring more visitors to your website and engage them with relevant information. 1152a Melton Road, Syston, Leicester.